Lowe’s Construction, LLC has gained a well-deserved reputation for excellence. In and around New Orleans, the company has finished new construction projects to the complete satisfaction of each individual homeowner. Owner George Lowe's extraordinary body of work couple with his commitment to the complete satisfaction of his clients has set the standard for custom homes in New Orleans and the surrounding areas. George attends client meetings, reviews wish lists, redlines house plans, and visits job sites while homes are under construction. Every Lowe’s new construction project bears his personal imprint. "While discussing the initial ideas for our home, George joined the meeting and sketched out our home as we spoke. He made sure that the plans reflected our lifestyle without compromising quality and materials. He made our dream come true...on our budget." 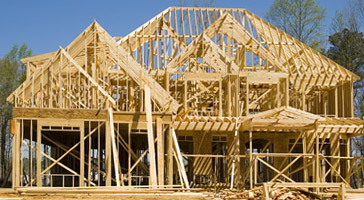 "The personal service that Lowe’s Construction, LLC offers is incomparable. There's no one like George in New Orleans. Every single person on the Lowe’s team has gone out of their way to be helpful and professional while our home was being built and we are delighted with the result!" If you are thinking about new construction, give us a call today and let our experience go to work for you!